One of the biggest strengths of Windows is the wide range of hardware that it supports. There’s no shortage of compatible hardware options for any purpose in Windows ecosystem. That’s why Windows 10, Microsoft’s final release of the OS, still continues the tradition of hardware cmpaibility for which Windows has always been known. However, all these devices rely on some drivers to work properly. 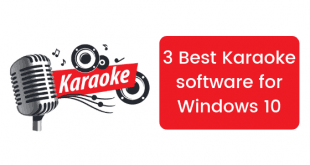 If your system lacks the necessary drivers for any device, that device may not work properly. 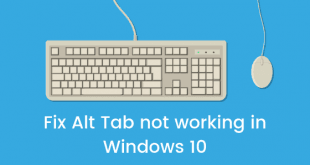 Thankfully, installing them on Windows 10 isn’t a tough job. There’re two methods available to install or update any driver on your Windows 10 PC, and we’ll look at both of them here in this article. Press Win+R on your keyboard, type wuapp and hit Enter. Now click Check for Updates button. Once you click it, Windows will start looking for updates related to your PC over the internet. That’s all you need to do on your part. 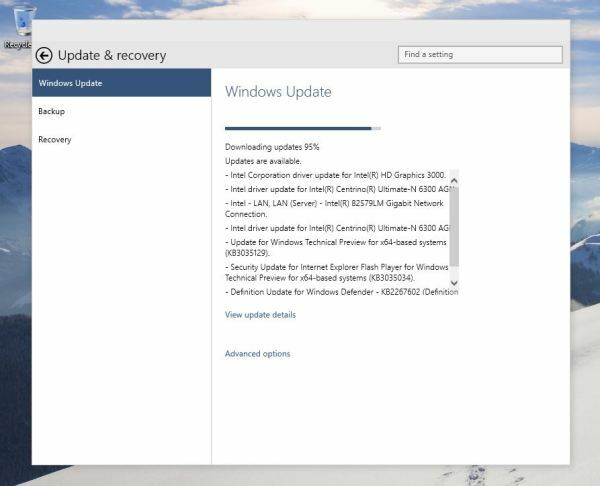 After that Windows will find all the required updates itself and will automatically download the required updates to your computer. Once downloaded, it’ll install them too. Plain and simple! 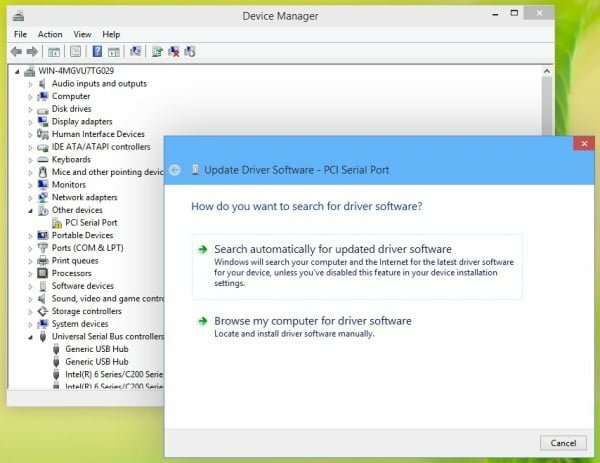 If any particlar driver that you need isn’t installed by Windows Update then another way to install it on your Windows 10 PC is via device manager. Hit Win+R on your keyboard, type devmgmt.msc and hit enter. This will bring a Device Manager dialog box before you. In this dialog box all devices that’re not installed properly are shown with a yellow warning sign as shown in the image given below. If your device(s) is being shown like that, right-click it and choose Update Driver Software option. First option will allow you to install a driver automatically. If Windows Update couldn’t download and install the driver that you need for some reasons, don’t lose faith in Microsoft. There’s a good chance that Windows can still find the driver that you need when it’s looking for that particular driver only. If you want Windows to do that hard work for you, select the first option and hit Next. If a driver is found Windows will download and install it automatically. Second option is to download the necessary drivers yourself and then tell your Windows copy to look for them in a specific location. If you’ve to go this way, make sure that you’ve downloaded the drivers first. 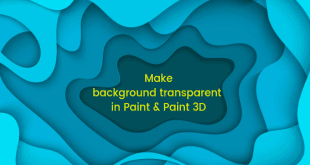 They can often be obtained from the websites of device manufacturers. 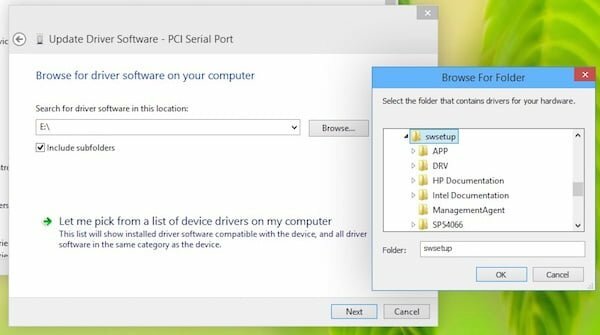 Once they’re on your system, select second option, map the location where your downloaded driver files are residing, ensure that the option of Include Sbfolders is checked and hit Next. Now sit back for a while and allow Windows to install the drivers for you. That’s all. Were you expecting more steps? Sorry for the disappointment!